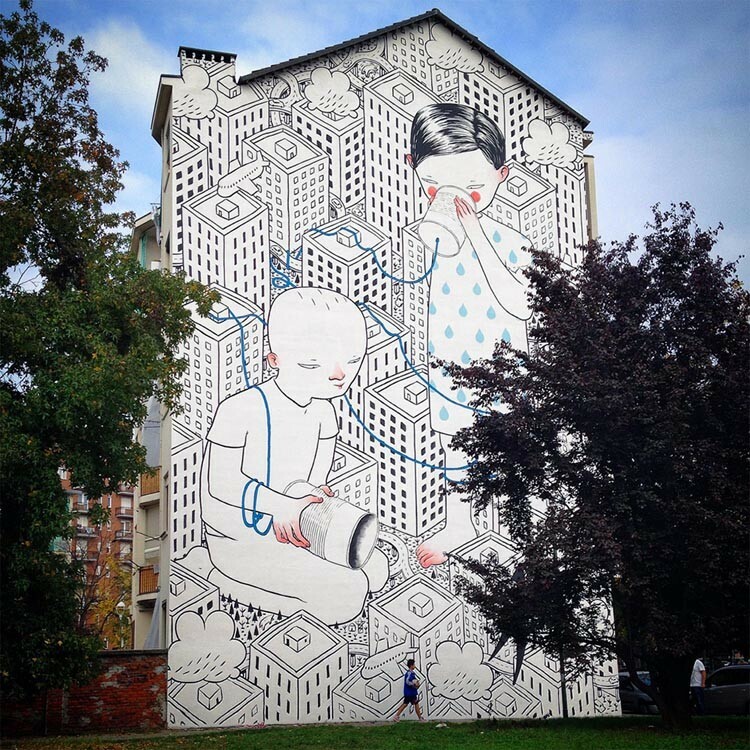 Youthful figures play and dream amidst pint-sized cities (or is it giant kids in regular-sized cities?) 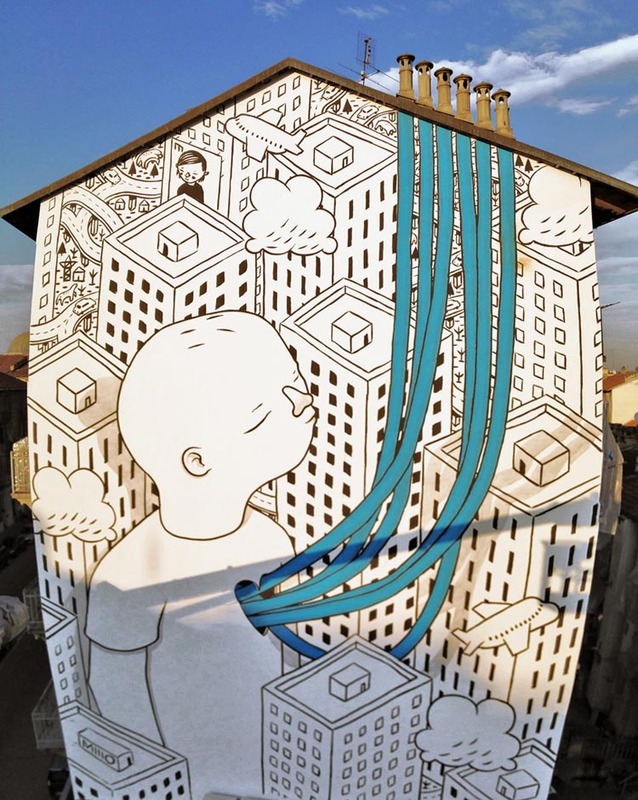 in the charming street art of Italian artist Francesco Camillo Giorgino (aka Millo). 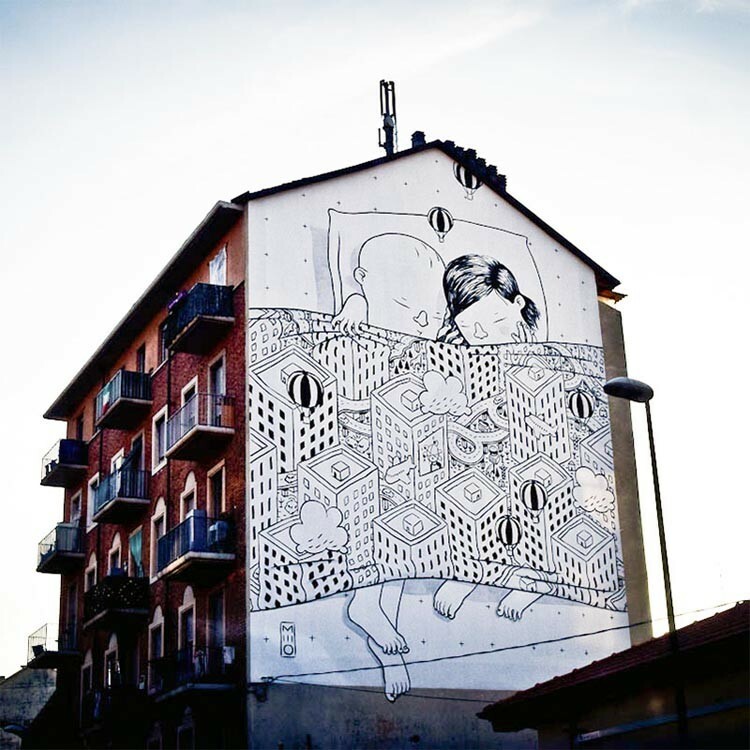 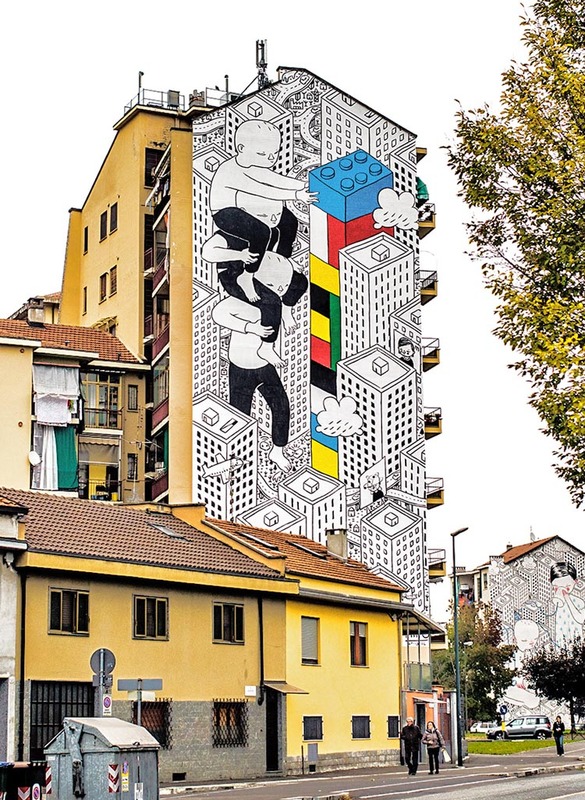 Much of Millo’s work consists of large-scale murals that adorn the sides of buildings, but he also does the occasional small-scale indoor mural. 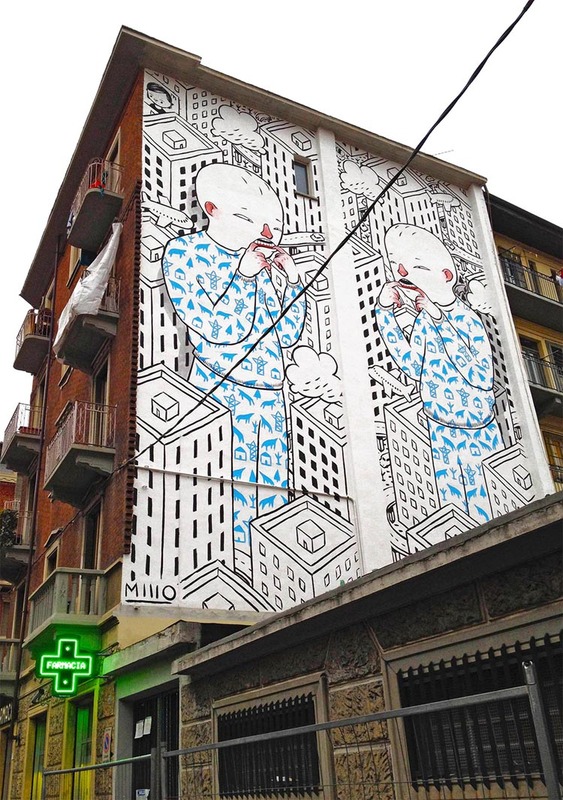 Millo’s latest murals can be viewed on his Facebook page.